This is a sort of follow up article to my earlier posts entitled The Development of the Kelley Nylon Bullwhip and Mo’ Guts = Mo’ Better. I want to highlight that the Kelley line of nylon bullwhips has undergone some changes in 2009; changes that I hope people will find to be an improvement on my design. I highlighted the internal improvements in Mo’ Guts = Mo’ Better, but in this post I want to highlight one of the external changes I have made. When I started making nylon stockwhipsback in February, I wanted to make them as traditional looking as possible so I went with the fall hitch design. After I finished that first stockwhip, I figured it wouldn’t hurt to start doing the fall hitch on the bullwhips and snakewhips as well. Since March, Florida cow whips are the only whips I make that feature the twisted tail. 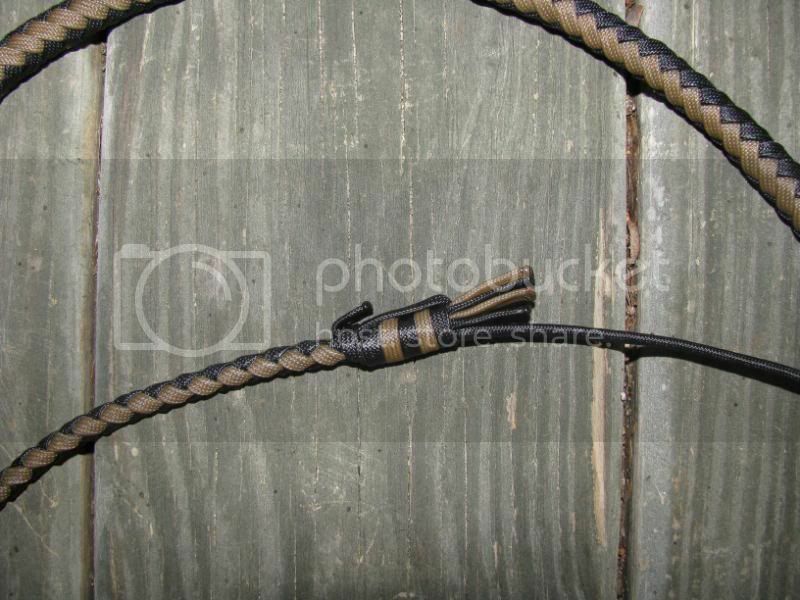 At this time I am slowly replacing the older bullwhip and snakewhip pictures on cowwhips.com to reflect this change. For those who liked the older design, do not despair, I will gladly make bullwhips, snakewhips, or stockwhips with the twist of the customer prefers it. So far the new change has been received well. And while I haven’t done it so far, if someone wanted a cow whip with a fall hitch, I don’t have any problems with doing that. As a whipmaker, I find that even though I’ve been plaiting over 18 years, I never stop learning. One thing I hope to accomplish with these and future improvements is to add value to my products. I have always made it my goal to provide top quality nylon whips at prices that are hard to beat. 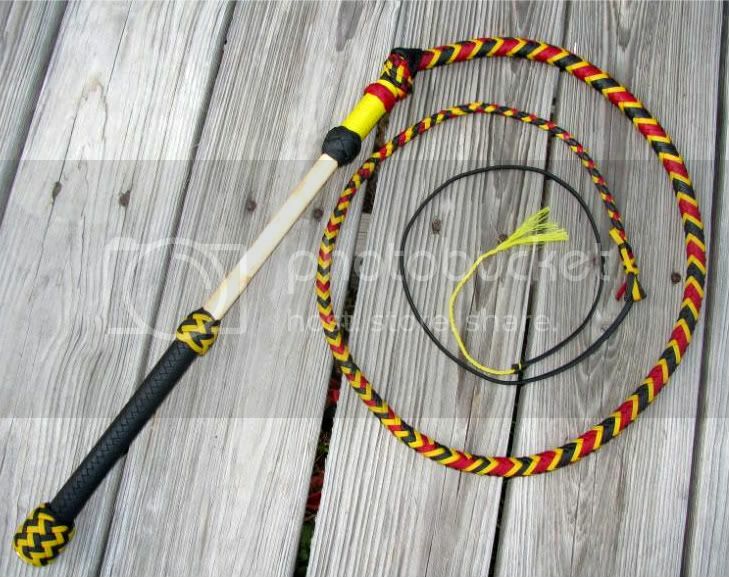 Speaking of hard to beat prices, be sure to check out my July Bullwhip Sale if you haven’t done so already! This entry was posted on Thursday, July 9th, 2009 at 9:42 am	and posted in Australian Stockwhip, bullwhips, Cow Whips, nylon whips, Snakewhips, Whips. You can follow any responses to this entry through the RSS 2.0 feed.